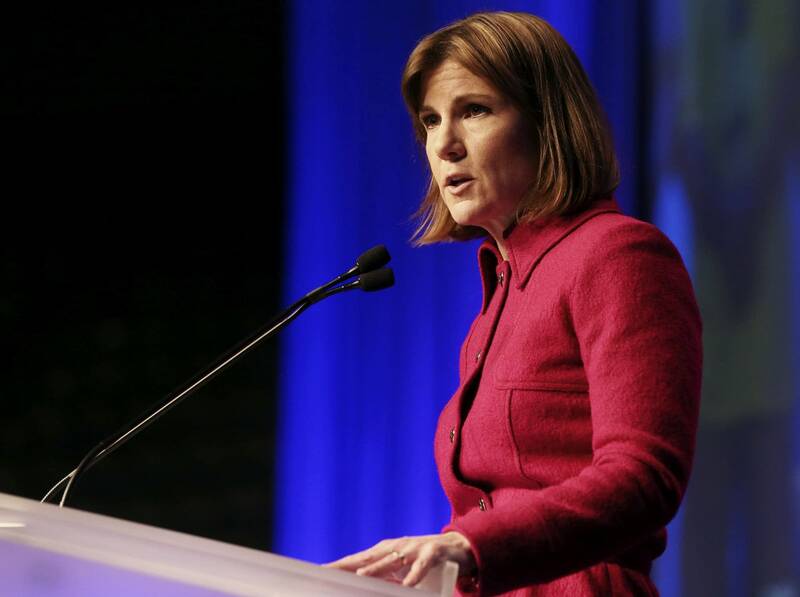 Updated: Feb. 2, 10:23 a.m. | Posted: Feb. 1, 8:40 p.m.
Lori Swanson, Minnesota's attorney general, has joined a lawsuit alleging that President Trump's recent immigration order is unconstitutional and should not be enforced, her office announced Wednesday night. Washington state attorney general Bob Ferguson filed the suit Tuesday. The complaint, filed in U.S. district court, seeks an expedited hearing within 14 days. Ferguson and Swanson are both Democrats. The executive order's temporary ban on all refugees and immigration restrictions has "immediate and significant effects in Minnesota," the lawsuit reads. The lawsuit notes that there are thousands of foreign-born Minnesotans from the several Muslim-majority countries whose residents won't be allowed to enter the U.S. for 90 days. • Related: Who are Minnesota's refugees? "One of the duties of the attorney general is to stand up for the Constitution, and stand up for the rights of people under the Constitution," Swanson said on Thursday. "Here you have this serious impact of the travel ban on academic institutions, on employers, on corporations, on individuals." Trump's immigration ban aims to make the country safer, the White House said. "In order to protect Americans, the United States must ensure that those admitted to this country do not bear hostile attitudes toward it and its founding principles," the order reads. The order indefinitely bars Syrians from entering the U.S. It also puts a 90-day ban on refugees and nearly anyone from six other Muslim-majority countries — including Somalia. Last year alone, 1,405 Somali refugees arrived in Minnesota, according to State Department data. The state took in more than 3,000 refugees from 25 nations in 2016, federal data show. Trump's order bans all refugees for four months. The lawsuit alleges that people's travel plans to and from Minnesota were affected by the order, citing the story of a 4-year-old Somali girl who was separated from her family after being born in a refugee camp. "[She] was set to get on a plane to reunite with her family, had that type of permission, but then ran into the ban," Swanson said in an interview Thursday. She "was told, 'You can't get on the plane.'" Swanson's portion of the lawsuit also said the order is burdensome to the state's universities and economy. "The University of Minnesota has about 120 students and international scholars from the affected countries. These are people who may be studying here lawfully or working here lawfully with a visa, and either can't go home because if they do they won't be allowed back or can't have a family member come here," Swanson said. Corporate CEOs have also expressed concern, she said, worried that the ban "will have chilling impact on recruiting, and also is impacting employees of those organizations who may be validly working here and running into trouble with the ban, or their family members are running into trouble with the ban."